Animal Wildlife | Pig | The pig was allegedly domesticated as early as 9,000 BC from the wild boar, which is found in the forests of Asia and Europe. The pig was used for meat, leather and the pig hair was often used to make brushes. 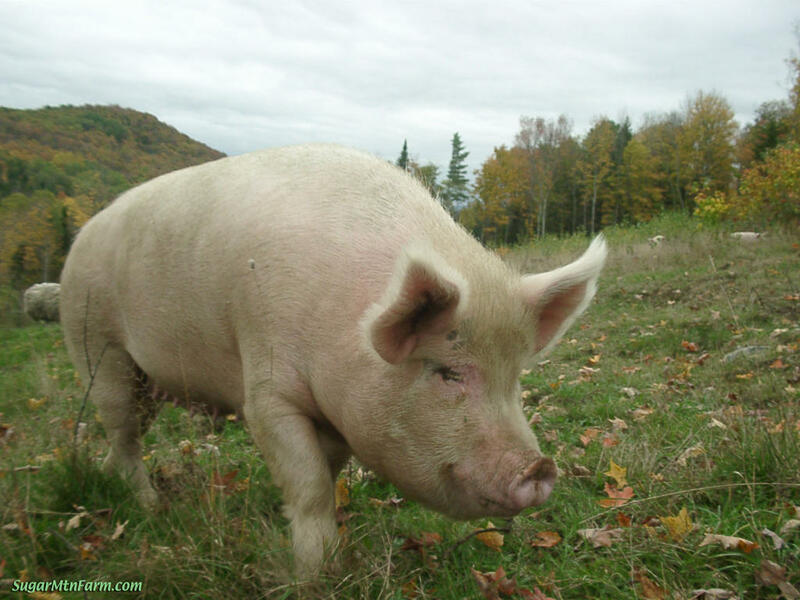 The domestic pig is farmed by the million around the world and produces a surprising amount of meat, with bacon, sausages, ham and chops all coming from the same animal ! The domestic pig is often kept as a pet in homes with large gardens as well as on farms. The pig is a quiet and relatively clean animal when kept in the right conditions. Pigs are known to be even-toes ungulates which is a term that refers to a hoofed animal whose weight is spread evenly by more than one toe. Pigs are also known as hogs and swine. 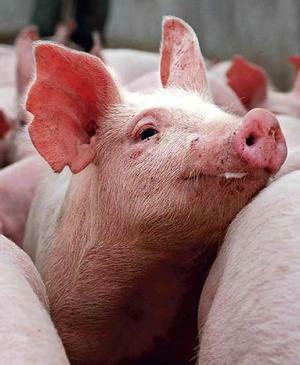 Many species of pig have tusks although today this is not really the case as selective breeding has ensured that many species of domestic pig no longer do. Those species of pig that have their tusks, use them to dig up roots in the ground and sometimes for depending themselves against predators. A pig has a snout for a nose, small eyes, and a small tail, which may be curly, kinked, or straight. It has a thick body, short legs, and coarse hair. 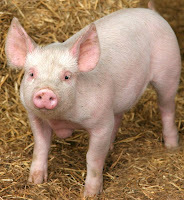 There are four toes on each foot, with the two large middle toes used by the pig for walking. I find it weird to imagine pigs as a pet. I usually think of dogs and cats as pets. I have heard from people that have pigs as pets and they tell me that pigs are very loyal pets. Pigs produce really great tasting food like bacon and sausages. I personally find pork to be more tasty then lamb or beef. 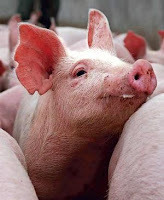 Pigs can't convert cellulose from the grass they eat into saturated fats like cows and lambs can. This means that pigs are more unsaturated then cows and lambs.